Big brother Henry O’Keefe, seven, was so upset when he saw an advert for nappies for premature babies that he decided to do something about it. Read " Caring seven-year-old raised money for o…"
We’re excited to let you know that we’re expanding our neonatal unit at Queen’s Hospital to improve the service we offer to our women and babies. 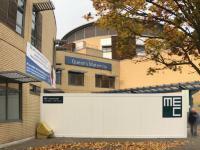 Read " We're expanding our Neonatal unit…"
Eagle eyed patients and visitors to Queen’s Hospital may have noticed that some hoardings have gone up around the out of hours’ maternity entrance. So what’s happening, we hear you ask? 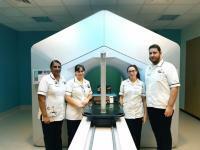 Read " The builders are in at Queen’s Hospital…"
Our cancer patients will benefit from the country’s first Varian Halcyon radiotherapy machine, which will be treating our patients from Wednesday 18 October. 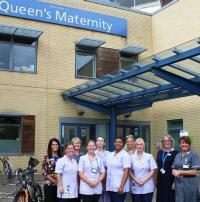 Read " Queen’s Hospital first in the UK to tran…"
We’re delivering a new model of maternity support to enhance the experience of pregnant women registered to receive care at Queen’s Hospital. 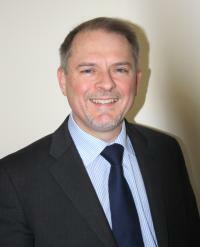 Read " Hilltop Team to provide care for pregnan…"
We are delighted to announce that Joe Fielder has been appointed as the new Chair of our Trust. Read " New chair for our Trust…"
Don't get stung for driving where you shouldn't! Visitors to Queen’s Hospital are being reminded about the fines issued to drivers caught by the enforcement camera on Oldchurch Road/Oldchurch Rise. Read " Don't get stung for driving where you sh…"
We had a fantastic response to our Macmillan Coffee Morning event – raising almost £3,000 to support people living with cancer. 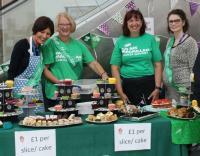 Read " We raised almost £3,000 at our Macmillan…"